Having recently undergone major renovations along with the HQ Complex, The Hindley Bar & Grill opened its doors last November. Venue Manager, Jack Newbould, hopes the renovations will lead Hindley Street in a new direction, paving the way for a new entertainment precinct in the CBD. “A big part of what we do is changing the perception of HQ, especially this part of Hindley Street and really putting out the word that we’re really ahead of the curb. There’s a lot of money that’s been invested in this building to make it work as an entertainment complex,” Jack says. 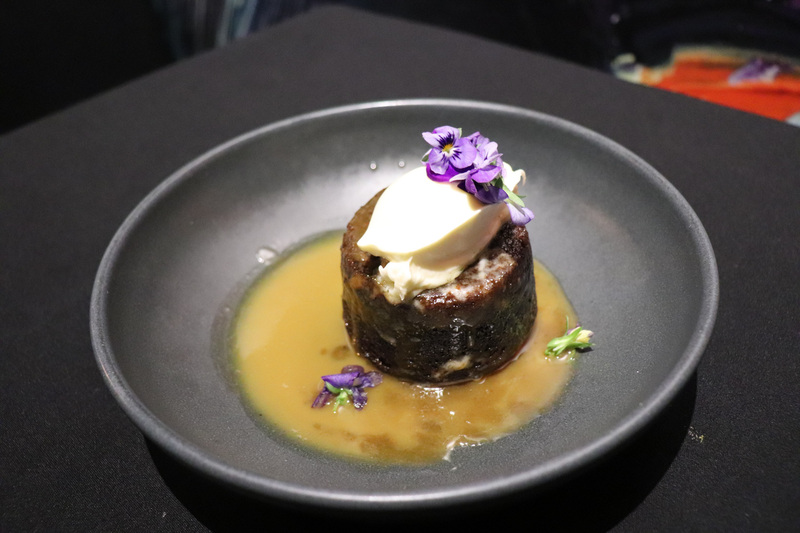 Heaf Chef, Shane Piercy, having previously worked at the Lion Hotel, Public Caffe, and The Sauce Restaurant, brings a wealth of experience and food knowledge to The Hindley and developing their new Autumn menu – emphasising grilled and wood-oven food. 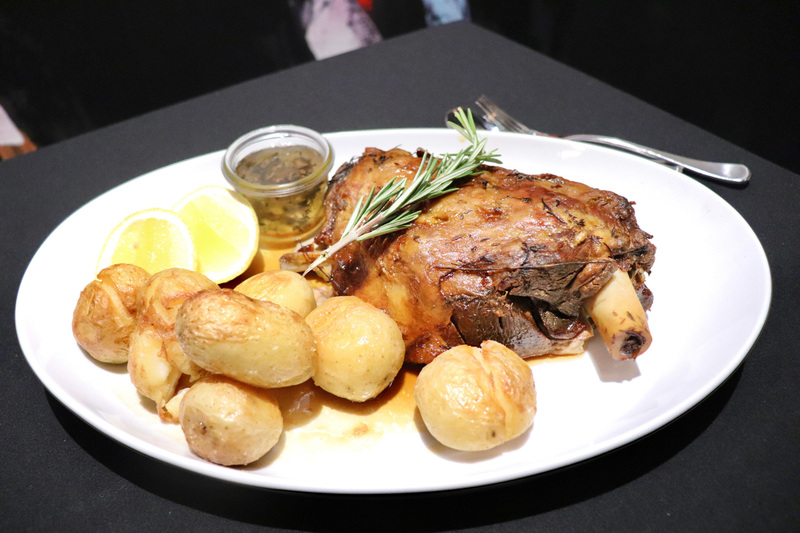 “The menu features a range of sumptuous offerings including my signature dish, Whole Lamb Shoulder served with duck fat potato – a creation I have been cooking for over ten years. I have been working closely with local suppliers to ensure that we are getting the best products available,” says Chef Shane. Now to answer the question on everyone’s mind – how is the food there?! 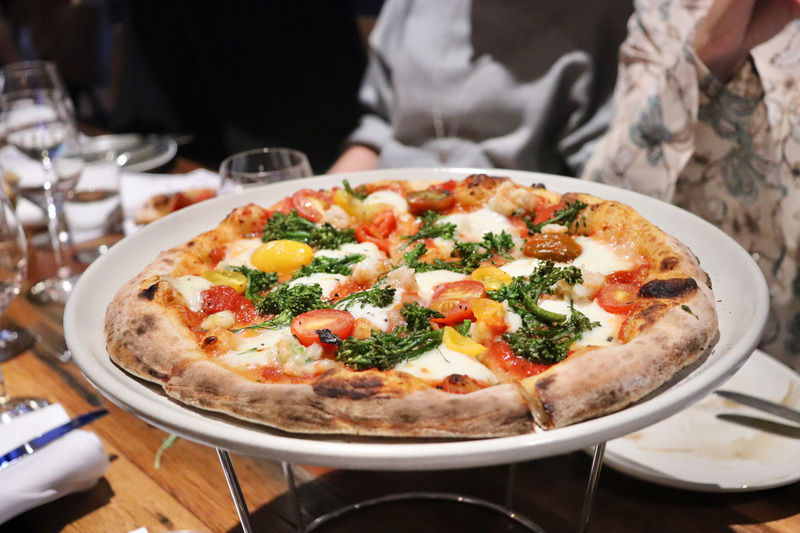 First off, the wood oven pizza is AH-MAY-ZING! 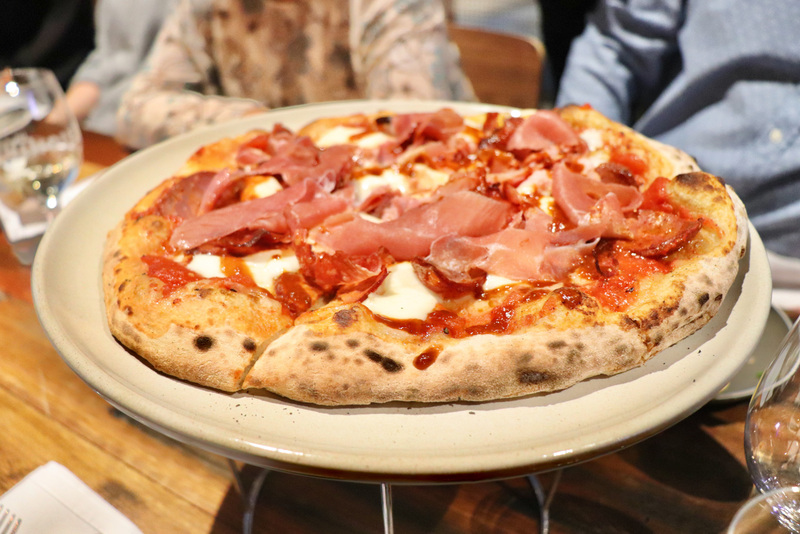 Having heard Chef Shane mention that they spent three months working on the dough, trying to get it right for their pizzas, we had high expectations going in. But boy, oh boy, were these expectations blown out of the water. Not only was the dough perfect (a thin base with a hollow, crunchy crust!) but the mozzarella cheese on the Margherita pizza was melted to absolute perfection. Now for even better news – these pizzas are only $12 at lunchtime on weekdays! Obviously being a bar and grill, you would expect the meat to be pretty good. And, unsurprisingly, the 6 Hour Slow Cooked Lamb Shoulder fell apart as our cutlery touched the meat and the 1kg Rib Eye Steak was tender, juicy and definitely very filling, too! 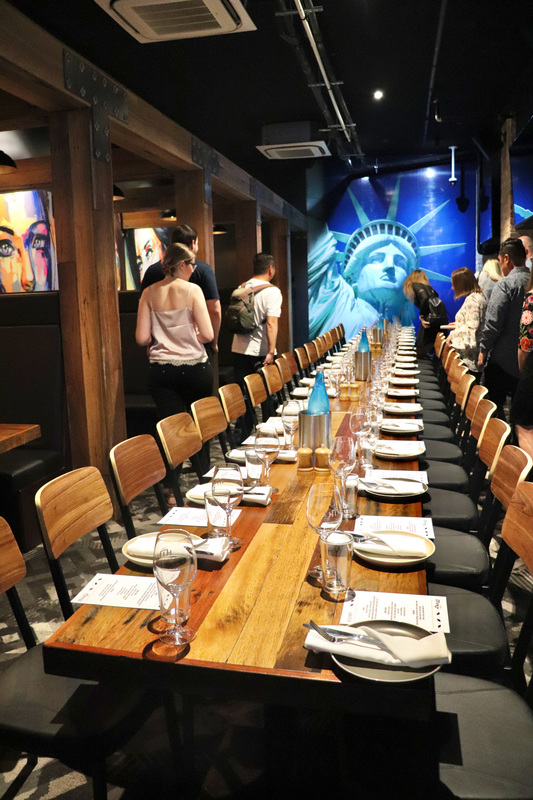 If the food’s not enough to convince you, head down to The Hindley after work (or uni) on Friday night for their Happy Hour, which offers free canapés and features a different winemaker every week. Also being a licensed takeaway bottle shop means you can buy a bottle of that red you fancy for bottle shop pricing! The Hindley focuses on catering for people from all walks of life, by offering an equally great dining experience for people who just want a good old pub style meal, to people who prefer something a little bit fancier. “You can walk away full having spent $15 or $150,” says Chef Shane. The Hindley Bar & Grill is open Monday-Friday 8am til late and 10am til late Saturday-Sunday, also offering, breakfast, brunch and lunch menus.